When the dark underbelly of the city begins to rise up and commit crimes against innocent people, the police step in. Enter Jack Slate, a vice cop along with Shadow his canine companion. They will stop at nothing to find what is happening in their city and prevent a mysterious new organization from taking hold. 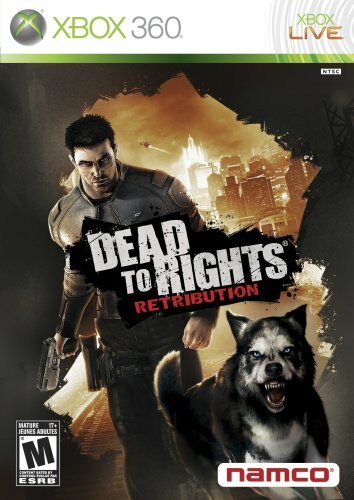 If you have played the previous iterations of Dead to Rights, then you will be disappointed if you were expecting to have a continuation of the storyline. You will however be glad to hear that Dead to Rights: Retribution takes a completely new outlook on Jack and Shadow’s story in a re-imagining of the storyline. To begin with, Shadow is not Jack’s dog at all, but instead his father’s. The story begins with Jack in a bar, wounded. The player is not left in the dark for long however, as the game then flashes back to the past day. 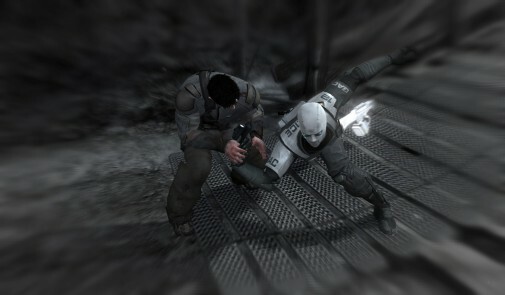 Eventually the player will reach the part of the storyline where it is no longer a flashback. Not only that but the story consists of multiple plot twists which will draw many players into it, due to the amount of emotions and gritty realism displayed by the characters. Unfortunately the graphics are appear to be something one would see on last-generation systems. The character models are not what one would expect this generation with the 360 and PS3’s graphical engines to work with. The areas you will venture through however, are very well detailed and designed, but suffer from too much attempted realism. That is that everything appears to have been dipped in a brownish shade. The enemies are detailed well enough, with one particular enemy even looking like a Geth from Mass Effect 2. The actual character motions though falter heavily. There are a number of graphical errors and on occasion you will lose Shadow due to him becoming stuck halfway through a wall or disappearing completely. Also continuing with Shadow; when he grabs an enemy to drag them out of the way, the ragdoll physics lose control. Shadow’s mouth is not connected to the body half of the time, and the body itself is flailing around in a manner similar to a fish out of water. It may be a bit cliché to say this, however the games shooting mechanics feel just like Gears of War. The cover system is very similar to Gears, but not to say that is a bad thing. The covering system works as well as one can expect, however in a bit of a realistic turn, cover isn’t all its made out to be. In heavy firefights you may come to realize that you are still being hit occasionally by a stray bullet, that passes over the cover and hits Jack. Not only that but certain bits of cover can begin to degrade after enough damage is done to them, and can cause the cover to be destroyed leaving Jack exposed to heavy gunfire. Your own weaponry is varied between assault rifles, shotguns, pistols, SMGs, and sniper rifles. Jack can carry one large weapon and one smaller weapon. He also is able to carry one type of grenade, which varies from explosive, flash, to a technologically advanced electric grenade. The guns are as accurate as one would expect, however there is an issue with accuracy on the computers side of things. There have been multiple occasions in which an enemy with a shotgun will be standing on the other side of a large room, and manage to hit every single spread shot. Not only that but snipers are also able to pinpoint very quickly and fire shots within seconds of the previous shot making them extremely deadly. Speaking of deadly; specific enemy kills will net Jack an increase in what is called the Focus meter. The focus meter is more or less a bullet time mode. When activated at any time it slows down everything around Jack, allowing his bullets/punches to do more damage, and himself to take next to none. There are no fancy acrobatics included, but it will pull Jack out of a tight situation. Each gun consists of the bullets inside of the clip. Extra ammo is obtainable, but only enough for a maximum of three reloads in most guns. Once the clip runs out the gun will be thrown aside in favor of a secondary weapon, or Jack’s fists. This requires a conservation of ammo due to the fact that it is scarce and some enemies directly require gunfire and are not able to be removed by a well placed knuckle sandwich. Here is one of the most enjoyable parts of the gameplay, the brawling. Fighting with your fists consists of a quick attack, strong attack, block/counter, guard break, and dash. Each normal attack can be strung together into a variety of various combos depending on the commands entered, while a well timed block can turn the tables of a fight with a counter attack. Melee was one of the most enjoyable parts of the gameplay mostly due to the fact that it is also coupled with very brutal finishing executions and helpful disarms. 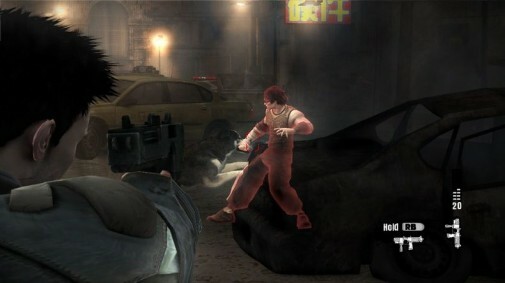 Any armed opponent may be disarmed quickly before the gun is put away, and with the disarm Jack obtains the enemies firearm and turns it back on his opponent. Not only is it a quick way to dispatch many enemies, but to get a quick reload for your own gun. The finishing moves are a highlight of the game mostly due to their utter brutality. There will be a different execution depending on whether or not you have a weapon equipped. If not then there will be a variety of brutal finishing moves ranging from a neckbreaking stunner, to a medley of brutal kicks to various parts of the body. The fighting may be entertaining and all, but to tell the truth the best part of this game is your sidekick Shadow. 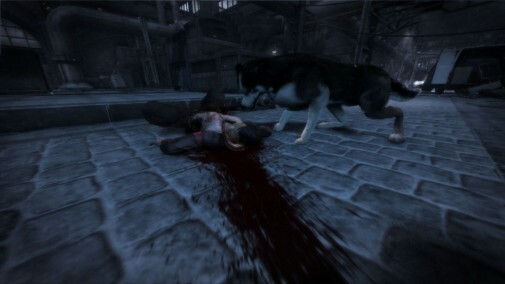 Shadow appears to be a husky mix, and he is more than willing to shed blood to protect Jack. Shadow is under your command for every level after the second, and will eliminate weakened enemies, hold stronger enemies and bring back weapons if you require them. 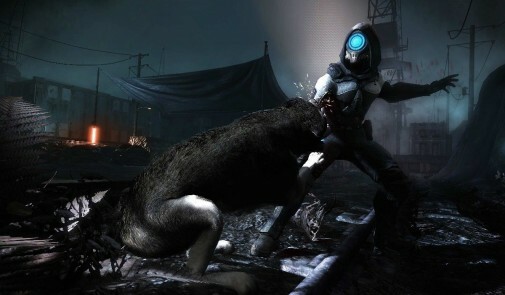 Shadow is more than just a sidekick however as there are stealth sections of the game requiring the player to take control of Shadow. These sections are a nice change of pace, as you must sneak around enemies and quietly with a snap of the jugular. These parts of the game may be in enjoyable the stealth mechanic is a bit erratic. There will be occasions that Shadow will be literally in the shadows and still be visible to un-alert enemies. Not only that, but when enemies do become alert, they must have a sixth sense that activates that allows them to continually track Shadow down, even if he managed to hide without an enemy near and completely hid within a veil of shadows. Despite the fact that the game’s graphics are somewhere between the Xbox and the Xbox 360 (let’s say Xbox 180), it doesn’t truly hinder the actual game. Not everything great comes in a pretty package, and the actual game itself is very enjoyable. The fighting is brutal and satisfying while the story will keep the player pushing through towards the end in hope of a resolution. P.S. : See how many A Nightmare on Elm Street movie posters you can find in the game.